“Tapas” model display case was born for the need to expose snacks, sandwiches, ready meals or drinks in a refrigerated cabinet by support on the bar counter. 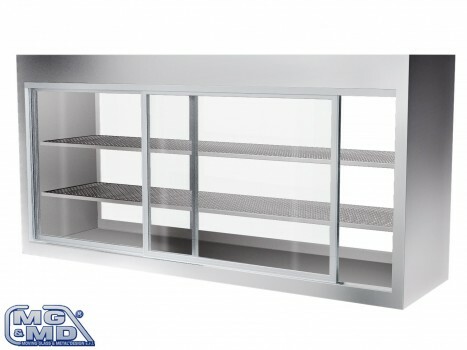 In fact this element offers the possibility to put an exhibitor on the furnishing without having to fit and guarantees the refrigeration of all intermediate shelves thanks to evaporator set at the top. The front is in fixed double-glazing, while back doors are in sliding double-glazing. With vertical led lighting, n. 2 adjustable shelves in stainless steel and control panel with electronic control unit.